Ian Seed’s New York Hotel, a collection of prose poems published in 2018, was the subject of the first comments posted in Our Year of Reading at the Irreal Cafe. Since then, this third volume in a trilogy published by Shearsman Books was named a Book of the Year by the Times Literary Supplement. To help celebrate the positive reception Seed’s work has received, I decided to comment on the first two volumes in the trilogy. This will also give me a chance to talk about some of the things I have learned since I posted those first comments. I still think that prose poems containing a narrative scaffolding are the ones we would consider to be irreal, but as I re-read Seed’s trilogy (the first two volumes are Identity Papers (2016) and Makers of Empty Dreams (2014)), I understand more clearly why he has adopted the prose poem as his preferred form and that it is a genre unto itself. It’s also clear to me that this form repays its adherents by giving them many different creative options. In addition to knowing more about the prose poem, I now also know more about Ian Seed and his influences than I did when I first began our Year of Reading. Largely, this is because of an essay at Fortnightly Review in which Seed talks about his discovery, turn away from, and rediscovery of the prose poem as a genre. In this essay I also learned that Kenneth Patchen was one of Seed’s early influences. Patchen, an anti-war poet initially associated with the Beat movement, was the author of The Journal of Albion Moonlight, as well as many collections of poetry. These ranged over the years from the early socially conscious free verse to the painted and more experimental poems he produced in later life. Seed indicates in this essay that it was Patchen who introduced him to the possibilities of poetry and the many forms it could take. I share Ian Seed’s enthusiasm for Patchen’s work, and in fact, I grew up just a few miles from Patchen’s home town in Northeastern Ohio. In 1989 I attended the Kenneth Patchen Literary Festival in Warren, Ohio, where I got to meet and talk with Patchen’s widow, Miriam Patchen. She told me, among other things, that anyone can write one effective poem but to write them over an extended period of time as Kenneth did is the real accomplishment. In Fortnightly Review Ian Seed described the fact that after he found the prose poem form, he let go of it for a period of twenty years and only recovered it in the early 2000’s; since then, however, the overall effect of his outpouring of work is more than the sum of its parts, as was Patchen’s. “Bad Faith (I)” in Makers of Empty Dreams centers on an old homeless woman begging outside the subway entrance. One day the narrator asks her what happened to her, and she says she was a collaborator during the war. He seems dismayed – the war was such a long time ago – and he raises his voice to remind the passersby that lots of people “even your great Jean Paul Sartre, slept with the enemy in one way or another.” The passersby respond by passing by even more quickly, but as a reader, I am left with the task of wondering if that is true, if that was true of Sartre, if that is true of me. In “Creatures,” which is also in Makers of Empty Dreams, the narrator has found a snake living under the kitchen sink and needs information to make a choice: if the snake is venomous, he will have to kill it. If it’s harmless, he can keep it as a pet. And then too there is a woman upstairs lying naked in her bed, and he doesn’t know if she is waiting for him. Before he gets back to the old familiar routine of his life (and goes to the shop around the corner to talk with the owner and buy a bottle of wine), he must make decisions and he must choose. There’s a glimmer of irreality here, but it’s often true that the choices we are condemned to make are equally obscure and absurd. And “Parenthood,” which appeared in Identity Papers, addresses the existentialist notion that you are what you make yourself to be. The narrator, who has just discovered that he has a grown son, waits to meet his child for the first time. The son turns out to be a strong young woman who is both a priest and a comedian. “Everyone is full of such contradictions,” she tells him, “but few of us have the joy of living them out.” This in turn inspires him to take his newfound son to see his mother, who not only embraces her newly discovered grandchild, but also shares the (somewhat unlikely) news that she is pregnant. As it illustrates the notion that you are what you make yourself to be, “Parenthood” undermines the gender binary and hints at the irreal. The short dense prose poems in both these volumes have repaid frequent re-reading, allowing me to get something slightly different (or very different, depending on my mood and current situation) each time. Though New York Hotel received the most significant acclaim, each volume of Seed’s trilogy deserves careful reading and repays the reader’s careful attention. 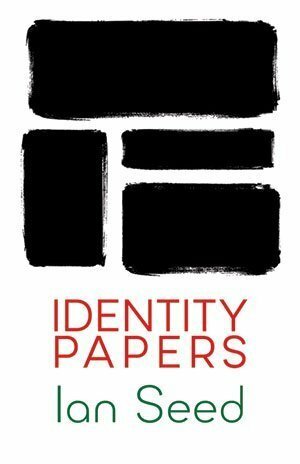 You can still buy Identity Papers and Makers of Empty Dreams at Shearsman Press. The Twentieth Anniversary issue of The Cafe Irreal is in production and will be online on February 1. As part of our celebration of The Cafe Irreal‘s twenty-year history, Our Year of Reading at the Irreal Cafe has included comments on a collection of prose poems by Ian Seed, story collections by Ken Poyner, Luis Garcia, Jeff Friedman, Brian Biswas, Vanessa Gebbie, Bob Thurber, and Ana Maria Shua, as well as plays by B E Turner (all of which contained material that had previously appeared in our pages). Before the anniversary issue comes online, we plan to post comments on one more collection of plays, but we’d also like to call your attention to past comments on books that contained material originally published in The Cafe Irreal. You can read Garrett Rowlan’s “Irreal expedition: a review of Zachary Mason’s Lost Books of the Odyssey” in Irreal Reviews. Note that “The Other Assassin” and “Odysseus in Hell” by Zachary Mason appeared in Issue #19 of The Cafe Irreal before The Lost Books of the Odyssey was published, first by Starcherone Books and then by Farrar, Straus and Giroux. You can also read G.S. Evans’ phantasmagorical review of George Belden’s “Land of the Snow Men,” a book that lists Norman Lock as its editor. Note that Norman Lock’s work appeared eight times in The Cafe Irreal. DINER: It’s irreal is it? DINER: Is that Theatre of the Absurd? I’ll talk more later about how Turner’s work compares with Theatre of the Absurd, but as part of this Year of Reading at the Irreal Café, I wanted to comment on his plays because, in addition to the presence of a search for meaning and philosophical depth, they are also very witty and engaging. But first, a little about how they exemplify a Kafkan sort of fantastic literature. When GS Evans and I were putting together The Cafe Irreal, we came upon a quote from Jean-Paul Sartre that would eventually grace our home page. This same quote also inspired the name of our publication because this is where Sartre described the café topsy-turvy – a concept that is for us the essence of the irreal. In such a cafe the means, such as coffee cups and doors and even waiters, evade the human ends we assume they were designed for, or to give one of Sartre’s examples, something as utilitarian as a door might work very differently than expected: “It is there before us, with its hinges, latch and lock. It is carefully bolted, as if protecting some treasure. I manage, after several attempts, to procure a key; I open it, only to find that behind it is a wall.” But what is there about this particular door that makes it irreal and not simply an absurd obstacle? Answers can be found in an article by Jo Bogaerts called “Challenging the Absurd? Sartre’s Article on Kafka and the Fantastic,” (which is available behind a paywall at https://www.berghahnjournals.com/abstract/journals/sartre-studies/24/1/ssi240103.xml). In it Bogaerts shows that Sartre was determined to distinguish his own brand of existentialism from the absurdism of Albert Camus, and Franz Kafka was the “figurative ‘prism’” that allowed Sartre to challenge other versions of existentialism. In Kafka’s work Sartre found what he called “le fantastique,” and though this was later misinterpreted as an attempt to link Kafka with writers of fantasy literature, Sartre actually dismissed the fantastic elements in the work of writers such as Edgar Alan Poe and Lewis Carroll as “mere trickery.” Instead, Sartre believed that the work of Poe and Carroll represented an attempt to escape the human condition, whereas Kafka’s work, rather than being escapist fantasy, represented a search for meaning. 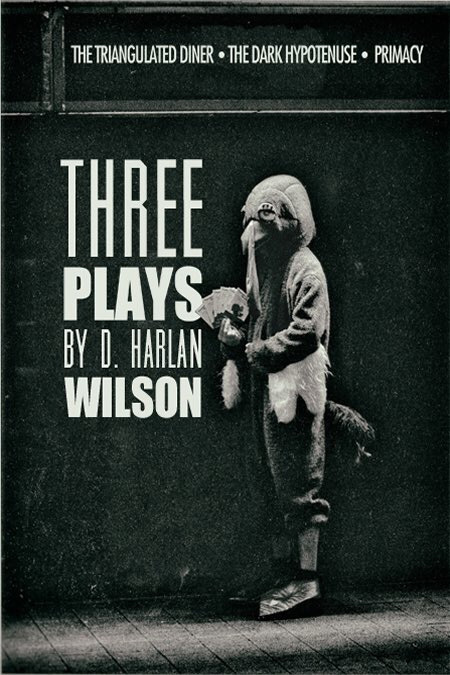 The Three Short Plays by Brian E Turner (now B E Turner) that appeared in Issue 9 in 2004 all take place in a café setting and all show a keen understanding of the revolt of the means against the ends. In “Get On with the Play” two actors, X and Y, ask their waiter, Francisco, for mixed drinks and Turkish Delight. They receive what the waiter assures them is appropriate fare for actors in a play: water, flat ginger ale, and an empty plate. Yet they can’t seem to resign themselves to the fact that they are simply means serving the ends of the audience’s enjoyment, rather than being ends in themselves. In “Furtive Love” a young man, who changes his name frequently, shares a restaurant table with Captain Nemo. These characters also have ideas of their own about how the meal is supposed to transpire, yet they can’t order anything because the author has decided not to include a waiter in the cast of characters. This play also touches on our (admittedly often violated) dictum that irreal writers shouldn’t try to make us care about the characters they create. The young man says, “The problem is neither of us have characters, we don’t have a past, I don’t even know my own name. It can’t be a realistic play.” And in fact, it isn’t. And finally in “A Cup of Tea” Hank asks Francisco the waiter about the tea that’s available. He learns that there’s also art on the premises — two mirrors covered by curtains. When Hank asks Francisco what he will see when he looks in the mirror, the waiter says, ” I do not know what you see. Certain philosophers will say that what we call reality is merely an illusion. Perhaps you should inspect the exhibits and make your own decision.” And, of course, the play offers itself up for the same kind of inspection. Most recently, in Issue 68, we published “Timbuktu,” a short play that’s also set in a café which is of course topsy-turvy. Turner seems to reflect Sartre’s description of what might happen in such a place. DINER: … Have you written my order down exactly? DINER: I hear that this establishment sometimes fails to make correct notes and that on these occasions the diner fails to receive the correct menu. The wordplay in “Timbuktu” is gentle but lively, a regular feature of Turner’s work. Just a note, by the way, about the importance of wordplay and nonsense in the irreal: For one thing, you can find wordplay in a number of works that we consider to be irreal, especially Alice in Wonderland and Through the Looking Glass, in which reality is undermined partly through the use of language. (Here I should also say that we disagree with Sartre’s assessment of Lewis Carroll’s work and do consider it to be irreal. 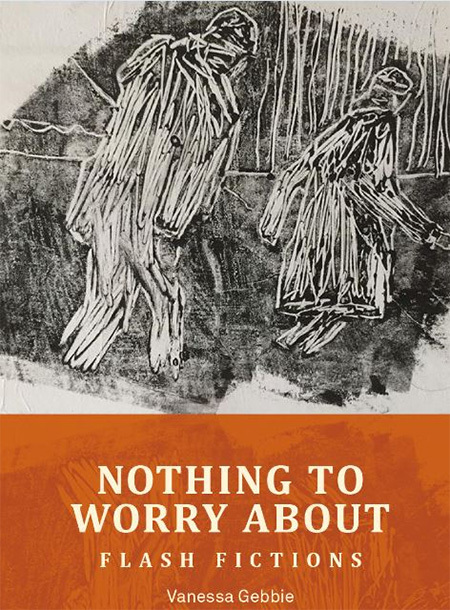 And for an interesting perspective on Carroll, see “Slaying the Snark: what nonsense verse tells us about reality.”) In addition, we sometimes describe irreal works as evoking the dream state, and it’s important to remember that puns and nonsense can occur in our dreams. CHEF: Within the psyche is the mind and within the mind are the two moieties, the real and the irreal, the left and the right. In the real we cling to the wreckage of safe certainty but in the irreal we enter the unsafe world of dreams, absurdities, impossibilities, the place where the accepted laws of nature and logic are broken. And why should we enter this realm which we are so reluctant to experience? Because it is the centre. It is the source of creation and the next step on the way we should all have the courage to follow. Enough. He has said his piece. 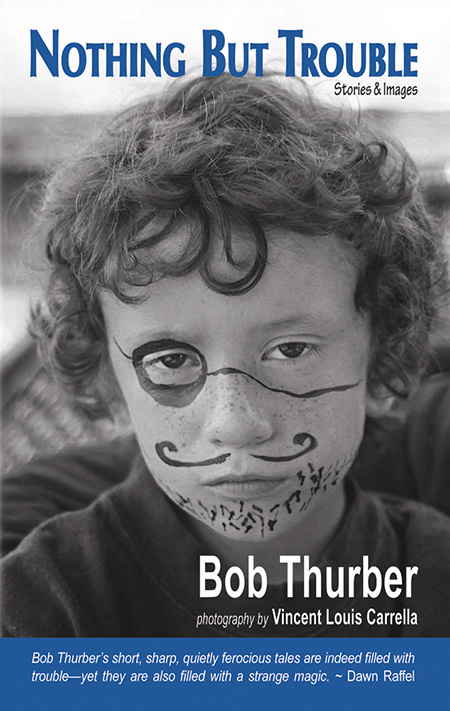 In Issue #61 we published a play by Turner that I would say is more absurdist than irreal. “Knitting” reminds me of Edward Albee plays such as The Sandbox or Samuel Beckett’s Endgame. In it we find the dark humor that is a feature of Albee’s and Beckett’s plays and the same disturbing conflict among people who seem to depend on one another. Jo Bogaerts notes that Sartre had the following to say about this literary approach: “But absurdity means the complete absence of ends. The absurd is the object of clear and distinct thought. It belongs to the right-side-up world, as the actual limit of human powers.” In an absurd universe everything, ultimately, is meaningless. In “Knitting,” the repetitive dialog of invalid Bertha (“Knit two. Purl two.”) at first gives us the impression that this is a homey and easy-going situation. But Rose, despite her assertions that she takes care of Bertha, seems only to taunt her and offer her meals of cooked rodents. There is bleak humor here, and Bertha’s visitor Mr. Pottz also tends to repeat himself in a scattered sort of way (“…what he says he cannot tell. And what he tells he can’t always remember.”). 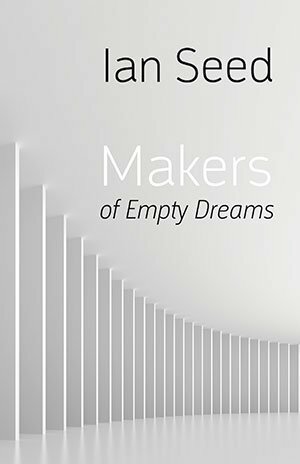 Bogaerts says, “The complete absence of a goal in the absurd novel led to a picture of human activity as tedious and undifferentiated,” and in fact the repetitive dialog in “Knitting” contributes to a similar effect. 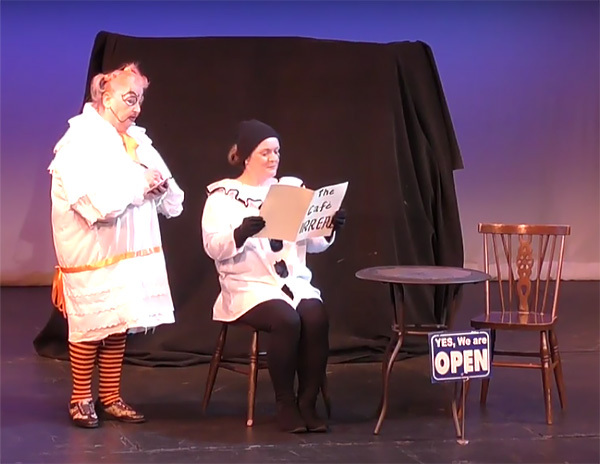 Despite the bleak humor in this play, we get the distinct impression that Bertha, Rose, and Mr. Pottz have given up on trying to understand their world. More importantly, unlike what happens in the irreal universe of Kafka, there is no transcendence in “Knitting” – means are not associated with ends, so there is no meaningful activity. Instead, we find an outcome as distressing as anything Nell and Nag experience in Endgame or the fate that comes to Grandma in The Sandbox – all are trapped in a hopeless stasis, waiting for the inevitable. B E Turner has been active in community theatre as playwright, actor, and director for many years. Reading his plays is enjoyable and worthwhile, but they are of course meant to be performed onstage. You can see a video of one production of “Knitting” (in it Mr. Pottz is Mrs. Pottz). Note especially the knitting Bertha has been working on for five months, which looks like a misshapen multicolored patch of despair. You can also watch a dress rehearsal of “Timbuktu” and see for yourself what it’s like to be a patron at The Café Irreal. Twenty years ago, as G.S. Evans and I were distilling and defining our ideas about irrealism and putting together a first issue of The Café Irreal, I happened upon issue No. 44 of The American Voice, which contained stories and poems by Latin American and Spanish women writers. Because we had decided to use the tagline “International Imagination” for our publication and because many of these stories fit nicely within our concept of irrealism, we read this magazine with great interest. 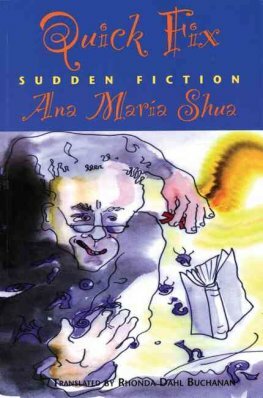 We felt a special attraction to “Twelve Short-Short Stories” by Ana María Shua, an Argentinian writer whose novels, children’s books, and collections of short fictions have won prestigious prizes, both in her home country and internationally. A few years later, after The Café Irreal was well underway, we contacted translator Rhonda Dahl Buchanan and asked if she had other stories by Shua that we could publish. She kindly forwarded for our consideration ten short pieces under the title “A Selection from Other Possibilities,” which appeared in Issue #6. And in our next issue we were able to publish, under the title “A Selection from Botany of Chaos,” the “Twelve Short-Short Stories” that had appeared in The American Voice. Surprisingly, there are only eleven short pieces in that selection, a fact which contributes to the satisfyingly irreal nature of this group of microfictions. In general, I find that there’s something about a very, very short piece of fiction that gives the impression of irreality, even if the story is told through realistic details. Stories by Lydia Davis come to mind (see, for example, “Spring Spleen”). Much of Davis’ fiction seems realistic in intent and tone, yet in a story this tiny there isn’t enough descriptive space for a setting, for characterization, for metaphors and symbols, and this in turn undermines the reader’s expectations of the work a story should do. The fact that the writer has only hinted at meaning and narrative and we readers must do so much work of our own forces us to use our imaginations more than usual, even when the story is realistic. And, therefore, when the writer intends something less realistic, as did Kafka in many of his parables and other short fictions (see, for example, “Before the Law”), the effect can be intensely irreal. This is also, in fact, the case with Ana María Shua’s work. In 2008 when Rhonda Buchanan published a volume of her translations of Shua’s microfiction under the title Quick Fix: Sudden Fiction, she graciously sent us a copy. I decided to re-read it as a part of Our Year of Reading at the Irreal Café. Quick Fix is divided into four sections, which correspond to Shua’s four extant published volumes of short shorts at the time this book went to press. Each section has an informal theme – “Dream Catcher,” for example, deals with sleep, dreams, and insomnia – but all contain tiny histories, concise philosophy lessons, miniscule news stories, and reimagined fairy tales. In addition, many of Shua’s stories work as epigrams and humorous adages, giving us some sly wisdom and a refreshing amount of wit as well. And each story is included in the original Spanish, which enables us to see quite clearly Rhonda Dahl Buchanan’s skill as a translator. Quick Fix is filled with ingenious line drawings by Luci Mistratov, and the cover bears a color-washed depiction of a man who might be a letter hunter from the tiny story “Run for Your Lives!” The other drawings show us bits and pieces of the universe Shua has created, including fused lovers, the menacing sight of clothing on a chair, a girl transformed by words, the varieties of ties that bind, a rabbi making what might be tiny Golems, a waiting room after patients have exchanged symptoms, and many others. These drawings do not violate Kafka’s injunction that nonrealistic stories shouldn’t have realistic illustrations (http://www.openculture.com/2015/10/franz-kafka-says-the-insect-in-the-metamorphosis-should-never-be-drawn.html) but instead they riff on and complement the tiny stories they accompany as they contribute to the overall irreal effect. Those who are addicted to reading know that oftentimes it is impossible to put a book down once you open it. Ana María Shua is certainly aware of this danger, and once remarked about her book Casa de geishas that it was her intention to set a more subtle trap for her readers, one that would entice them to return to the pages of her book time and time again, at the risk of becoming entangled forever in the web of her intrigue. There is almost something irreal about how well these challenging little pieces stand up under such intense scrutiny. Happily, you can still get Quick Fix online at Wordery.